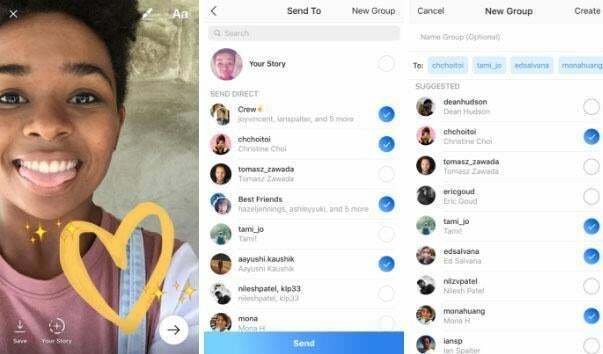 Instagram is about more than selfies and brunch shots; here's how to make the most out of the Facebook-owned photo-sharing app. Are you snap happy? Then you probably have www.Instagram on your phone. The photo-sharing app has 800 million users; 500 million use it daily. 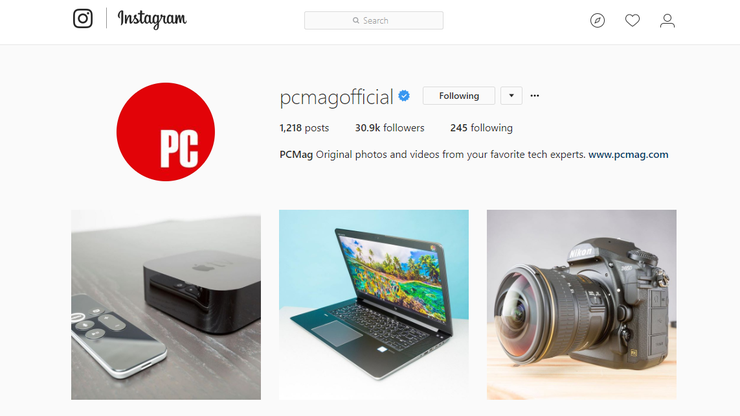 Whether you've been with Instagram since the beginning and are still miffed about the changes to your timeline or just started gramming, PCMag has rounded up a few tips that could make your photos stand out and garner you acclaim -- or at least a like or two more than before. Some think the fastest way to Instagram popularity is through hashtags. Instagram allows up to 30 for each photo posted, so there are plenty of hash abusers. But used in moderation, they're an easy way for people who share your interests to find your shots. So make sure they're relevant. These tips were tested on iOS, but most apply to Android, too. "If you can't say anything nice, don't say anything at all" is not the motto of many an internet commenter. If there's a not-so-nice comment you don't want under your gram, get rid of it. For iOS users, tap Comment, then swipe left over the one you want to delete and click the trash-can icon. For Android, tap Comment under the photo and then tap the one you want to delete and click the trash-can icon at the top of the screen. On both platforms, you can also report the comment as abuse, if necessary. 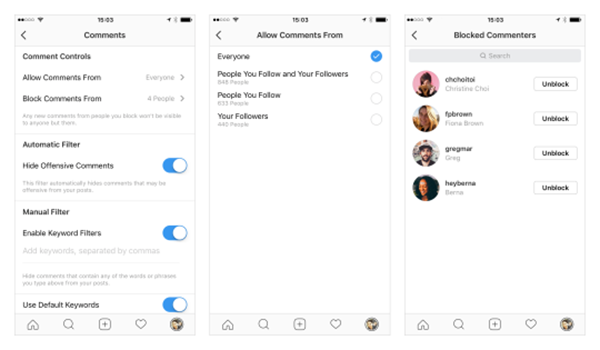 If you're consistently getting hate in the comments, Instagram now lets you choose who can comment on your posts: everyone; people you follow and your followers; people you follow; or your followers. Just go to Settings > Comments > Allow Comments From. There, you can also block words and phrases in comments and even disable commenting altogether. Pick Hide Inappropriate Comments to block comments with "words or phrases often reported as offensive." You can also add custom keywords, which will hide comments that use those words. Hit Done when you've finished. 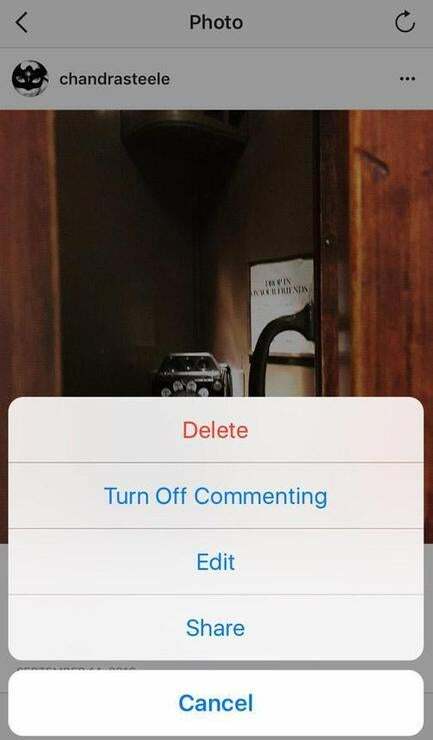 To disable commenting before you post, click Advanced Settings on the screen to add a caption and share, and slide Turn Off Commenting to the on position. You can turn off commenting on an existing post by going to it, tapping the ellipsis at the top and and then selecting Turn Off Commenting. If you're the one who made the error, meanwhile, Instagram lets you edit your own captions. Tap the three lines on the top right and a menu will appear; select Edit to make your changes. To keep yourself safe from hackers, meanwhile, you can turn on two-factor authentication. 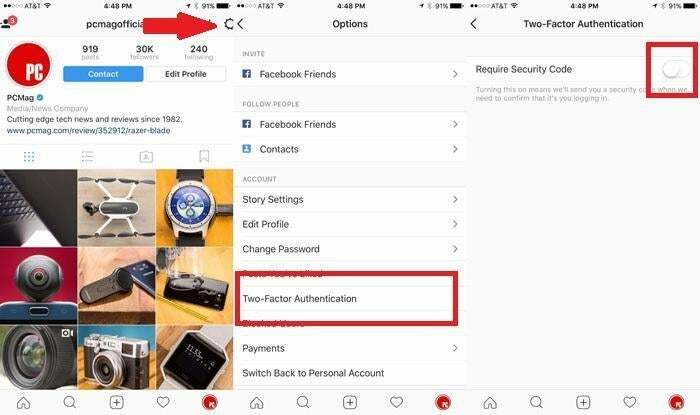 Go to Settings, scrolling down to Two-Factor Authentication, then adjusting the slider to on for Require Security Code. Then add the phone number where you want to receive a security code to verify your identity when you log in. In 2016, Instagram expanded the time limit for videos from 15 seconds to 60 seconds. To add your own, tap the + button on the home screen. To pull a video from your camera roll, select Library and pick your video. To record one, select Video and hold your finger on the circle in the center of the screen. For multiple shots in one 60-second video, just lift your finger to stop and press down again to record more. Instagram also has Boomerang, which essentially produces short GIFs. 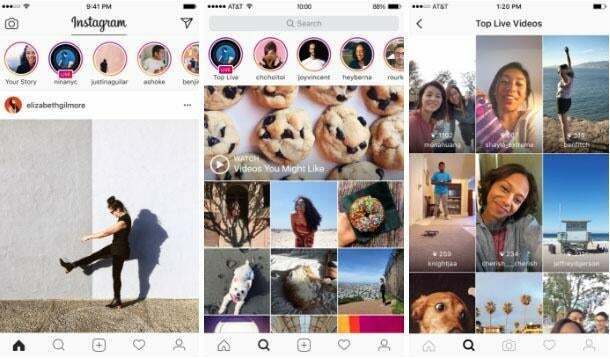 With the press of a button, Boomerang takes a burst of photos, then stitches them together into what Instagram calls "a high-quality mini video," which plays forward and backward -- just as a thrown boomerang flies away and returns. 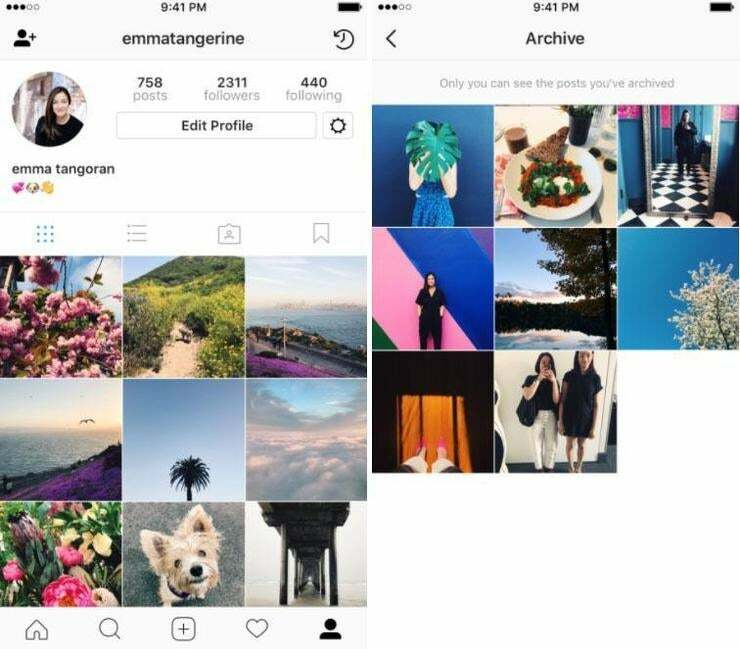 Swipe left from the home screen and select Boomerang to try it out or download Instagram's standalone app (iOS, Android). Do you like Snapchat Stories? Then you're going to love Instagram, um, Stories. 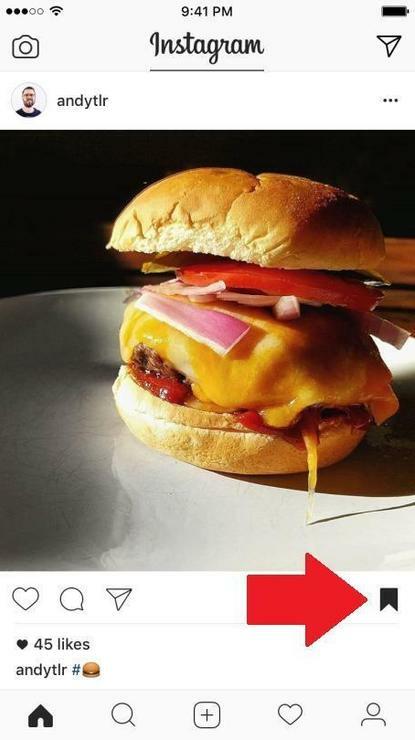 Yes, Instagram copied Snapchat right down to the name. Look for Stories from those you follow at the top of your Instagram feed. Tap to progress through their story, swipe left to move on to the next, press down on the screen for a longer look. To create your own, tap the plus-sign atop your own profile image on the top-left of the screen or swipe left on the main screen. Then, take a photo or record a video as you normally would from within the app or upload one from your phone by swiping down on the screen. When you're done, tap the emoji and letters icons on the top right to jazz up your photos or videos, if you want. If you're not happy with what you've written or drawn, select Undo. To keep it, select Done. To erase the entire story, select Cancel; to save it, select the download icon. To share, press the checkmark. Your followers will then be able to see it for 24 hours. If you want to see who's seen it, open the story and swipe up on the screen to see the number of times it's been viewed and who's seen it. If you see a Story you want to share with a friend, select the Direct icon (it looks like a paper plane) in the bottom-right corner, select who you want to share it with, then tap Send. If you're not so keen on your stories being shared with others, you can disable that. 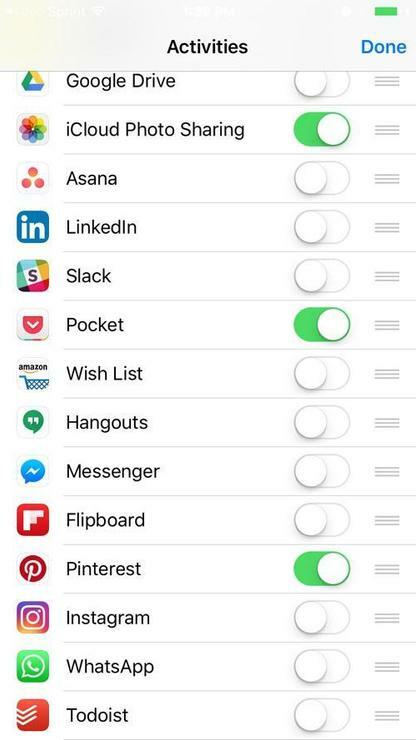 Go to Settings > Story Settings > Allow Sharing and toggle it to off. The wisdom of the crowd is now available to you via Polls. Just make a Story and then select the Poll sticker from among the sticker options. You can then enter a question and two answer options. 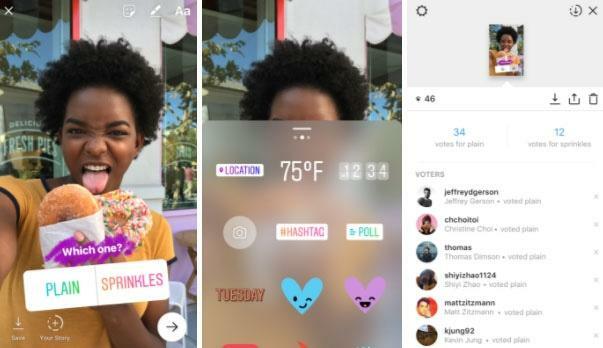 If you want to peek at how each person voted, swipe up to see all the viewers of your story, and you'll also see their answers displayed next to their names. 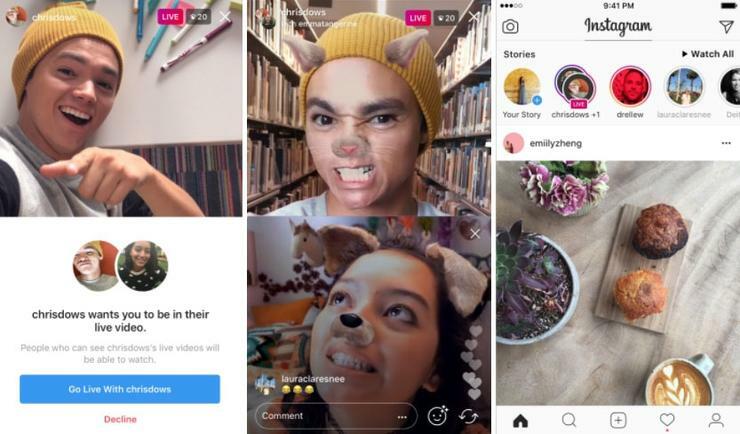 Borrowing a trick from Facebook, Instagram now has a live feature for Stories. 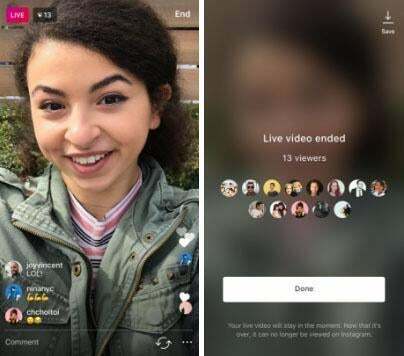 You can start broadcasting live to followers by tapping the camera icon, selecting Live from the slider at the bottom of the screen, and tapping Start Live Video. You'll see how many viewers your broadcast has at the top-right of the screen. Comments will appear on the bottom, but if you want to disable them, tap the ellipsis and then select Turn Off Commenting. When you're done, you can just tap End at the top right of the screen. If a follower goes live, meanwhile, a pink Live banner will appear beneath their avatar in the Stories section up top. To find live videos, navigate to Search > Top Live. Live videos used to disappear when you were done, but you can now save them. When you're done making a live video, tap Save in the upper-right corner and then Done. 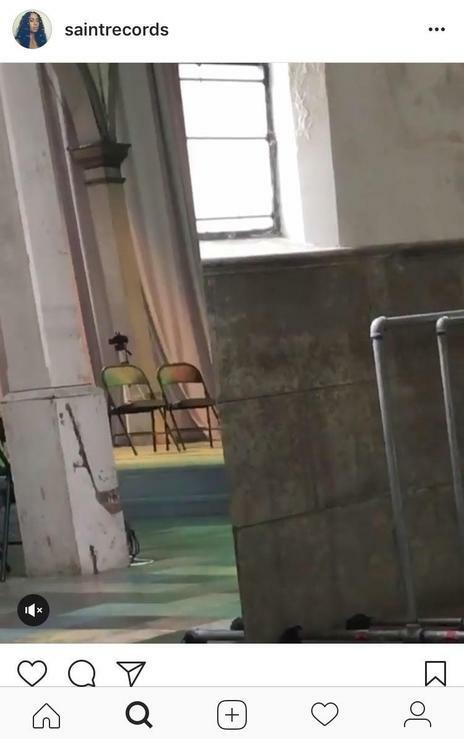 The video will save to your camera roll, minus the comments, likes, number of viewers or interactions -- provided your phone has enough storage. You don't have to go live alone. If you want to add a friend to broadcast with, tap the camera icon at the top left of the screen or swipe right from your feed. Then select Live at the bottom of the screen and Start Live Video. You'll see an icon of two superimposed faces. Select that, and choose a person to go live with. If your friend accepts your request, there will be a split-screen view of the two of you. To remove them, tap the X at the top of their part of the broadcast. 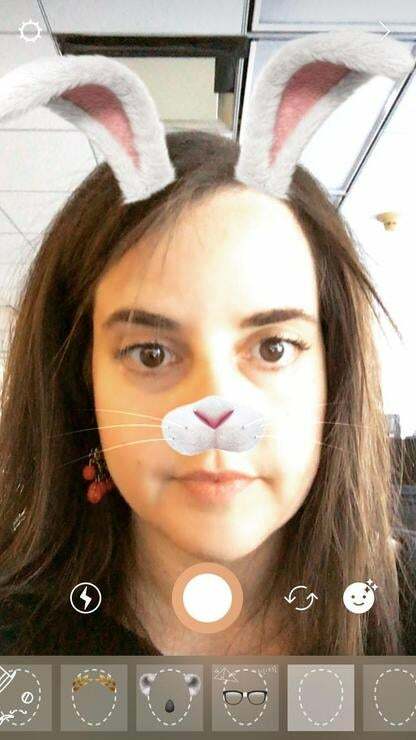 One of the latest things Instagram borrowed from Snapchat is selfie filters. Now if you want a super-flattering photo of yourself as a dog or in a flower crown, you can do so inside Instagram. Go to your home screen and swipe right or select Your Story from the top of the screen. A face icon will appear, and you can tap it to switch between filters. Oh, something else from Snapchat, you say? 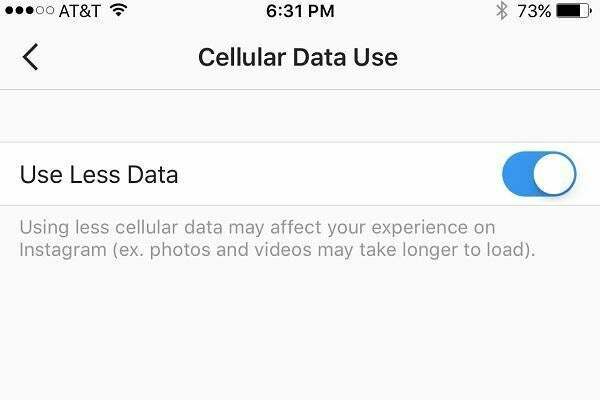 Instagram added the ability to send and receive disappearing photos and videos. 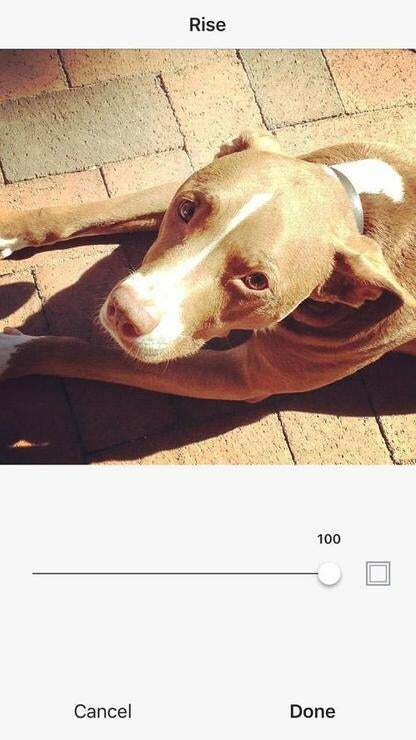 Open Instagram, tap the camera icon, take a photo or video and tap the right-facing arrow. You'll see a list of people or groups to send it to. Message segregation is over. Disappearing and regular direct messages now appear in the same conversation thread, ending the days of disappearing direct messages displaying like Stories. To start a new DM with a disappearing message, swipe left on the home screen, which will bring you to the Instagram Direct screen. Tap the camera icon at the bottom to take a disappearing photo or video and when you’re done, select the friends to send it to and click Send. To add one to an existing DM, tap the conversation and then select the blue camera icon in the message. Some images you just want to stare at forever but Instagram feeds, depending on how many accounts you follow, can go by too fast. To save photos (without alerting the owner), tap the bookmark icon right below it. To see saved photos, go to your profile page and tap the bookmark icon there. Beats taking a screen shot. To organize all those saved posts, create a Pinterest-like Collection. Go to your profile, and tap the bookmark icon above you photos. Select Collections > Create Collection > type in a name > Next and select the photos you wish to appear in that collection. To make a collection directly from a post, go to the post, hold the bookmark icon down, tap the "+" sign, type in a name for it and hit Done. You can also add photos to an existing collection this way, too. Sometimes you want to save an Insta but don't want anybody to see it. Perhaps you want to banish an ex or frenemy from your public profile. Now you can. Go to a post you want to save, tap the three dots at the top and then select Archive. Followers will no longer be able to see it, but it won't be deleted. When you want to see it, go into your profile and select the Archive icon on the top right (it looks like a clock with an arrow). It might seem like the point of Instagram is to share your photos with the world. But if you'd prefer that only a select few can see your brunch shots or sunset snaps, you can make your account private. On your profile page, tap the gear icon on the top right, look for Private Account and toggle it on. You'll then get an alert if someone wants to follow you, much like a Facebook friend request. 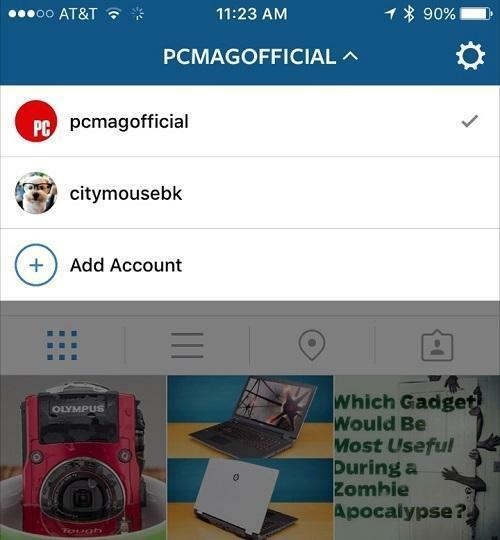 If you have more than one Instagram account, you can manage multiple accounts easily. Switch between up to five accounts without the laborious process of logging out and then back in. Go to your Profile > Gear Icon > Add Account, and enter the user name and password of an additional account. To switch between them, go to your profile page, tap your user name at the top of the screen and select the account you wish to view. Or long-press on your profile icon on the bottom-right of your home screen, and select the account you want. For getting up close and personal with your followers, use Superzoom. 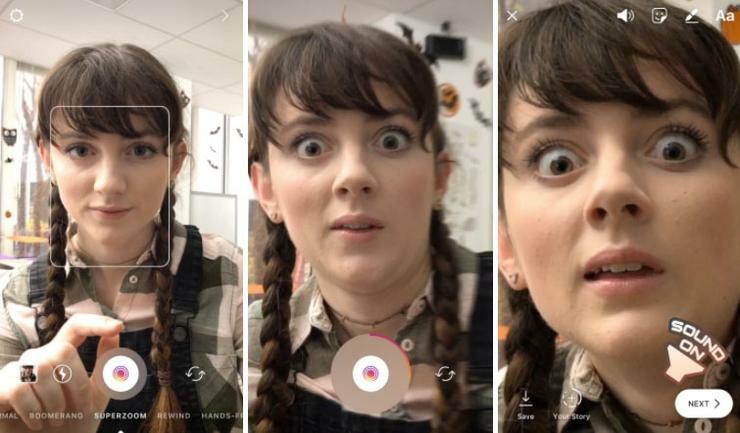 Open the camera, tap Superzoom, and Instagram takes a three-second video that zooms in on your face (or whatever else you're filming) along with appropriate suspenseful music. If you want a longer zoom, hold down on the screen as you record instead of tapping. 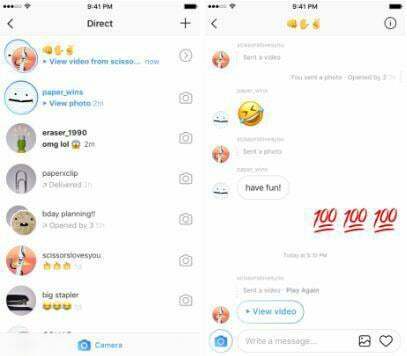 When you're done filming, send the video to friends on Instagram Direct or turn it into a Story. 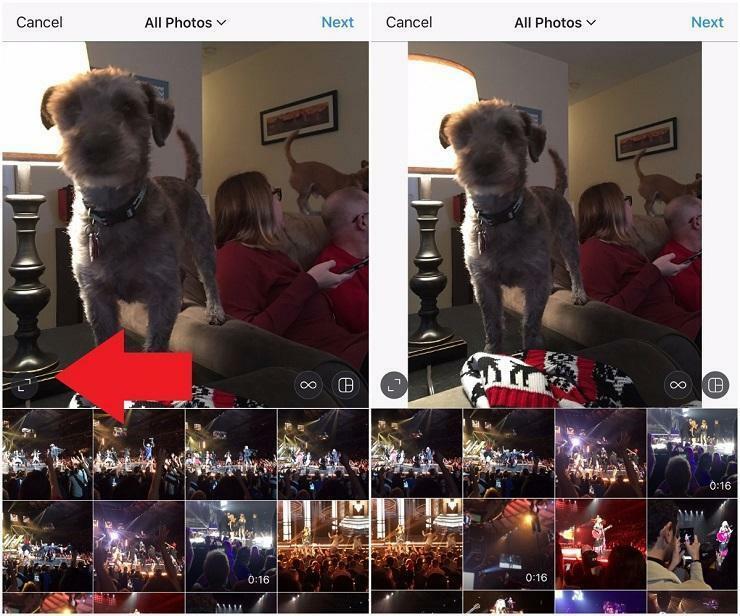 In 2015, Instagram finally set users free: no more inventive cropping or black-bar frames. When choosing content to post, tap the format icon on the left (looks like two little carets) to move between square, portrait (vertical) or landscape (horizontal). Don't let borders come between you and the perfect shot. To add a little something extra to your filtered photos, tap the filter you used a second time and then tap the Border icon on the right. If you decide against the border, just tap it again. Save by selecting the checkmark. 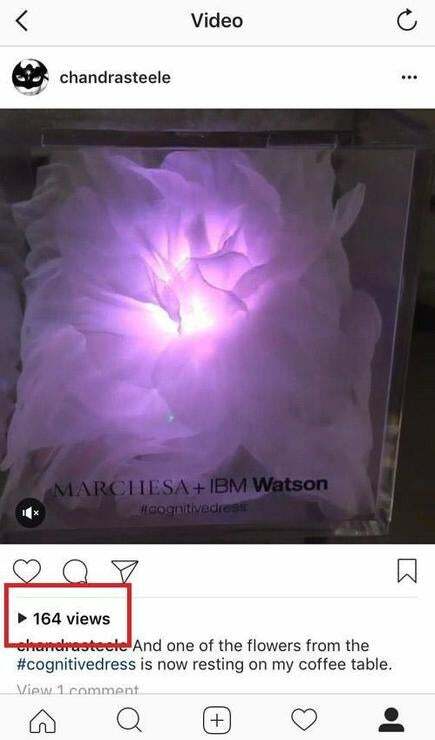 One image, one Instagram, right? Nope. You can use an app like PicFrame to put several shots in one gram. It also lets you change the shape of each photo, add frames and put music to videos. Other options include Diptic (iOS and Android) and PhotoShake! (iOS and Android), as well as Photo Grid for Android. 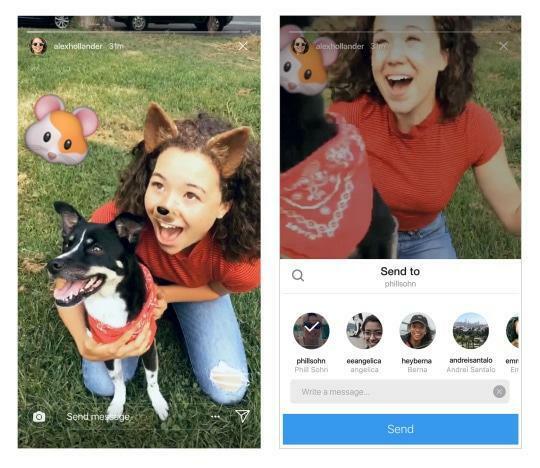 If you want to post multiple images to Instagram without overwhelming your audience, Instagram now supports up to 10 images or videos in one post. 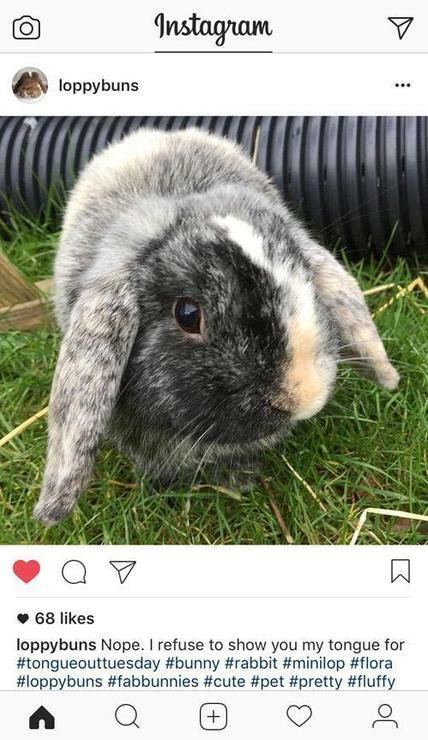 But you can only select one filter, and write just one caption for the entire post. To create a gallery post, you have to use images and videos from your photo library. So select Library, like you normally would, and then tap the icon of stacked photos on the bottom-right of the image. You'll then see your library appear at the bottom of the screen, and you can tap on a bubble in each image or video to include it in the post. As you tap each bubble, it gets numbered for the order it will appear in the post. 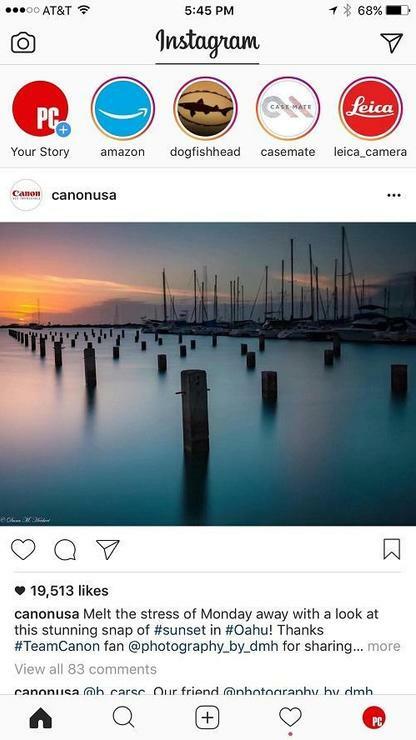 Once you click Next, you can choose a filter, write a caption and post. Your followers will see a series of dots on the bottom of your first image and they can swipe through to see the others. To use Instagram you always had to be in Instagram. Now the app lets you post from Photos, Twitter, Safari and other apps without opening the app itself. Just download the latest version of Instagram, open another app like Photos and select a pic. From there, tap the Share button, swipe to the right on the top row of colored icons and press More at the end, then toggle Instagram on. Once you do this, you can press and hold the Instagram icon to move to closer to the front of the list, if you prefer. Select it whenever you want to post to Instagram, though you won't be able to edit it in any way unless you actually open the Insta app. 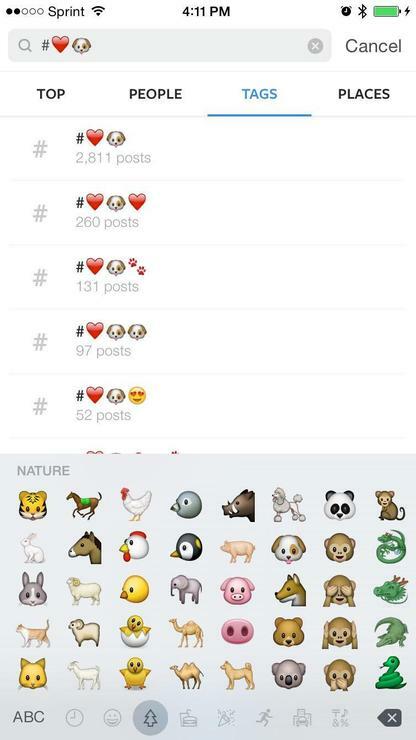 A picture says a thousand words, so Instagram now allows hashtag emoji. If you want to know who else is using your favorite emoji, you can also search for them. 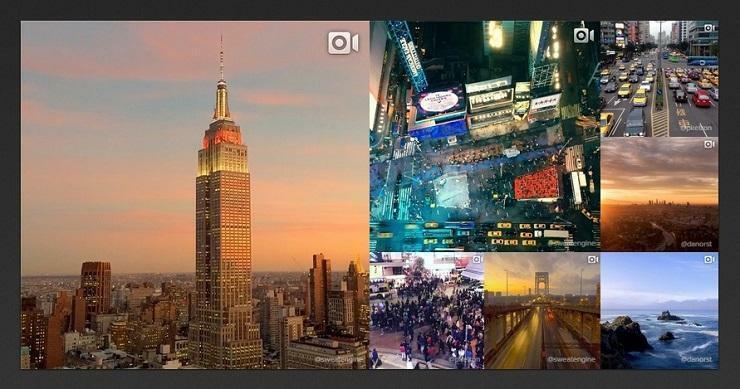 You can fit so much into an Instagram video, as PCMag's Sascha Segan demonstrates. But you're probably looking at Instagram on your phone, so you've got to be selective about how you use your bandwidth. Luckily, Instagram lets you opt not to have Instagram preload videos over cellular connections. On mobile, go to your profile, select the gear (iOS) or hamburger icon (Android) on the top right, select Cellular Data Use and choose Use Less Data. 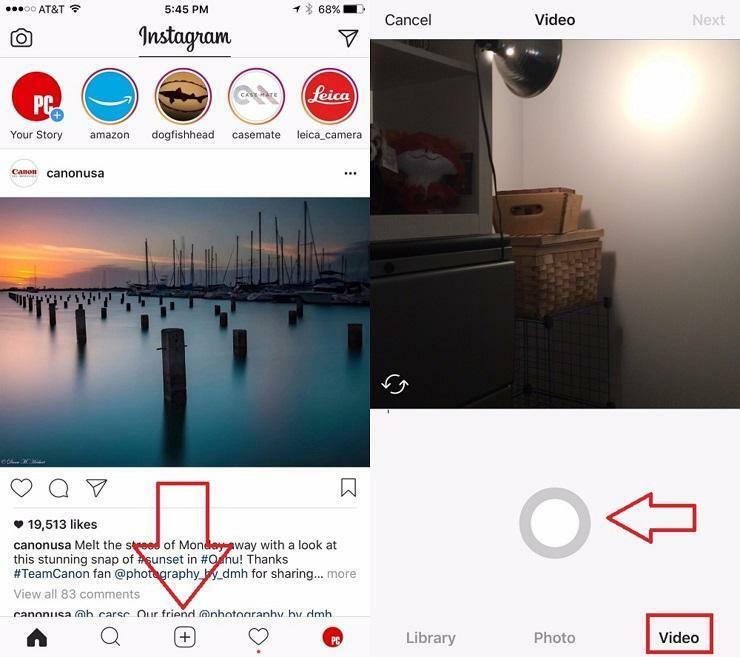 All Instagram videos are silent by default when you scroll through your feed, but if you tap the sound on for one video, every video you scroll past after that will autoplay with the sound on. If you'd rather they quiet down, tap to silence, which which will mute audio on every other video, too. 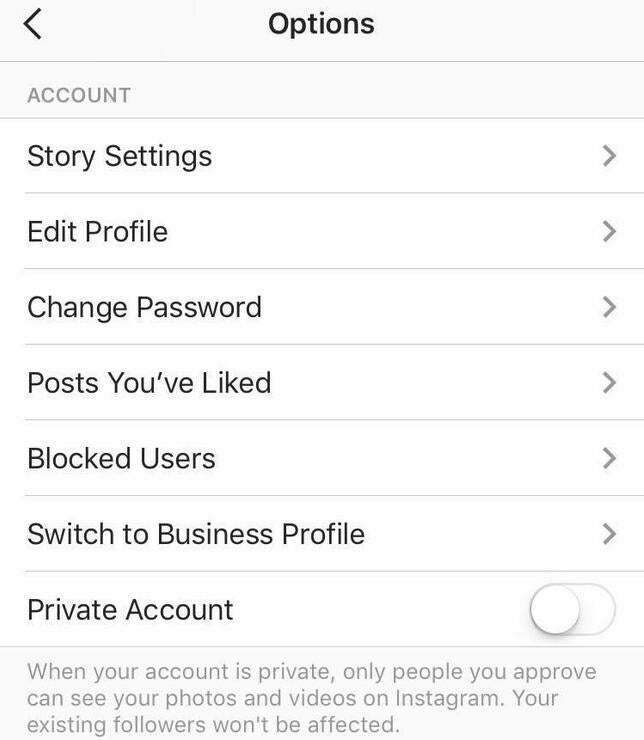 Once you close out of an Instagram session, your preference also gets reset to silent for the next time you open the app. 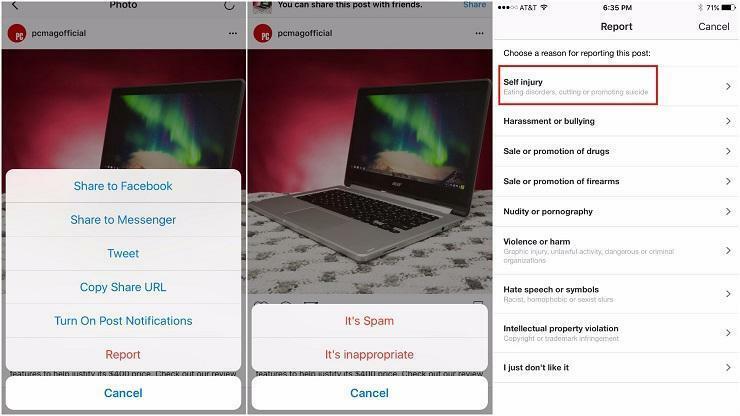 Very few people's lives are actually Instagram perfect, but if you see a post or live video stream that has you concerned about self-harm or suicide, you can report the post by tapping the ellipsis > Report > It's inappropriate, and then Self-Injury. Instagram will reach out to the account holder. Also, call local law enforcement, and encourage the person to call the National Suicide Prevention Lifeline at 1-800-273-8255, or chat with the service online. Give a compliment, get a follower. 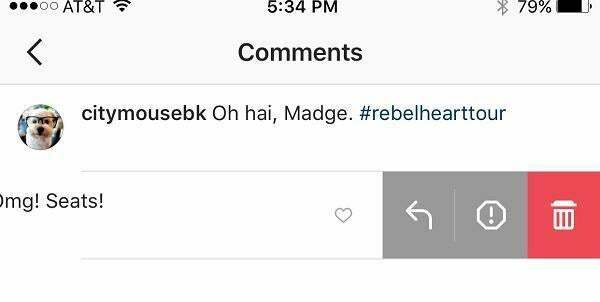 Okay, it's not a 1-for-1 transaction, but tapping someone's photo twice or leaving a few nice words is the surest way to their Instagram heart. So if you see something you like, say something. Is anybody watching? Likes are nice, but they're not a count of how many people have seen your Instagram video. Instagram last year added view counts so you'll know just how many people have seen your vacation vids. There's really nothing you have to do beyond glancing down below your video to see your view count. To see your likes, tap Views. You're not limited to just using Instagram as an app on your phone. Access your Instagram profile on the web by going to Instagram.com and signing in. You won't be able to upload or edit photos but you can watch Stories, get notifications, browse your feed, like and comment on photos and search for people, places and hashtags online. Forget browsing through the typical tourist photos to find your next vacation spot. 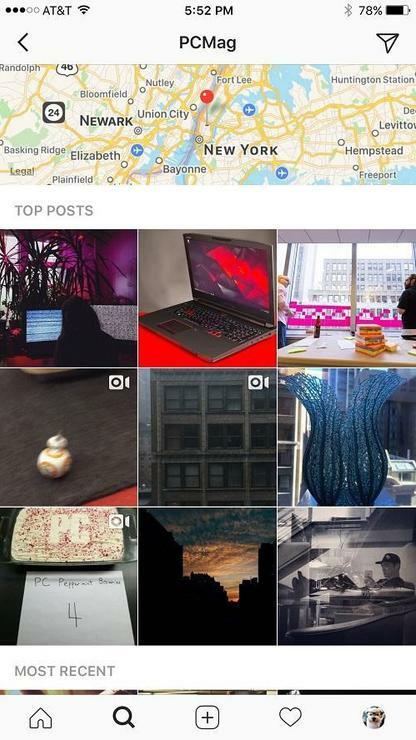 Get a better idea of where you want to go by using Instagram's more robust search feature. Tap the magnifying glass on the bottom menu and then the search box up top. Type a destination in the search box, tap Places on the far right, and enjoy the scenery. If you don't know what you're looking for and just want the thrill of discovery, tap the magnifying glass and you'll find new people to follow, places to add to your virtual or IRL itinerary, trending tags and posts Instagram thinks you'll enjoy. Ever see something on Instagram and you just want to buy it right there? Of course you have. And now you can; if it's for sale, that is. 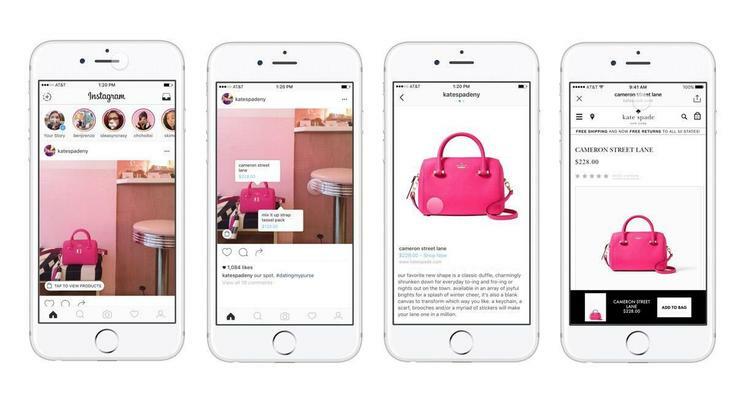 Instagram has made it possible for people to add Shop Now buttons. 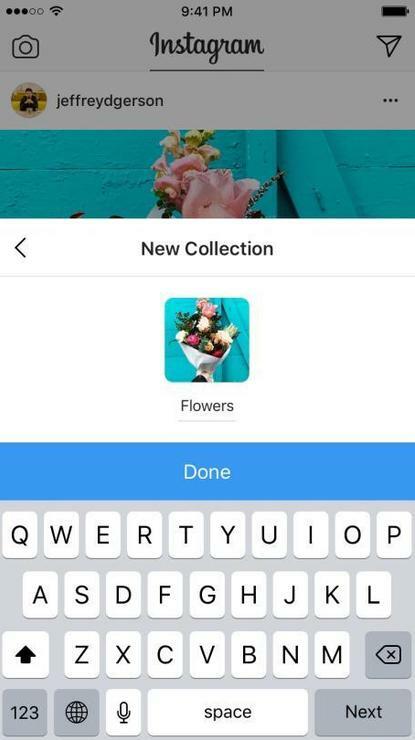 Each image will feature a Tap to View callout in the lower left-hand side; tap it to reveal the name and price of the products featured in the photo (Instagram supports up to five tags). Tap a tag to open a more detailed view in another window. If you like what you see, click Shop Now, at which point you'll be redirected to a browser view, where you can add items to your cart and check out. Verified accounts can also add links to their Stories; you've probably seen Insta-celebs encouraging followers to "swipe up to shop" the products they hawk or recommend. Have you seen those photographs where the real world looks like an adorable miniature one? You can do that! The tilt shift feature is a shortcut to getting a look similar to the ones provided by fancy lenses. Start with an image, choose a filter, then tap Edit at the bottom of the image and scroll over to Tilt Shift. Slide right to find Tilt Shift. 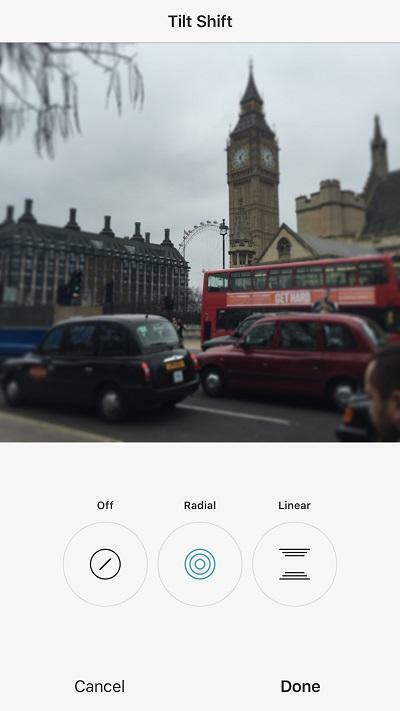 Then choose Radial or Linear, whichever looks best on your photo and select the checkmark to save. If your photos are underexposed, they'll look the poorer for it. Make them Lux. 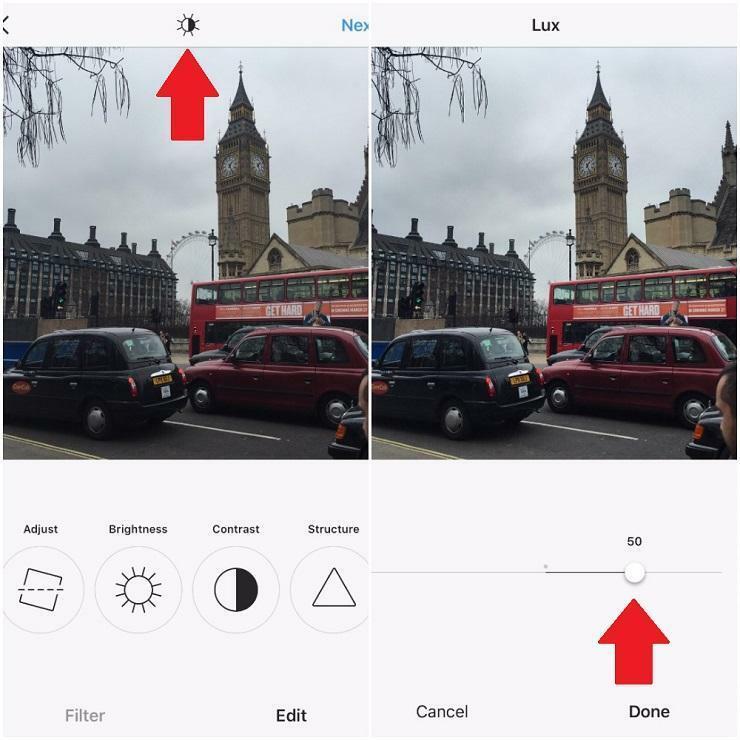 Once your photo is taken, tap the sun symbol at the top of the screen and use the slider that appears to adjust the saturation of the photo. Life's moving too fast? It's about to get faster. When you take video, you can fast forward through time with time-lapse app Hyperlapse on iOS. If you have Android, there's Framelapse. For creating the perfect time-lapse videos, professional social influencer Kevin Lu (@sweatengine) has a few suggestions. Make sure your phone has plenty of battery life, turn off auto-lock, secure it with a tripod or something solid and then set a time-lapse app like Lapse It (iOS, Android). Lu recommends settings of five to 10 minutes if you're filming slow to average city traffic, 10 to 15 minutes for pedestrian traffic, 15 to 20 minutes for clouds and 20 minutes or longer for sunrise or sunset. 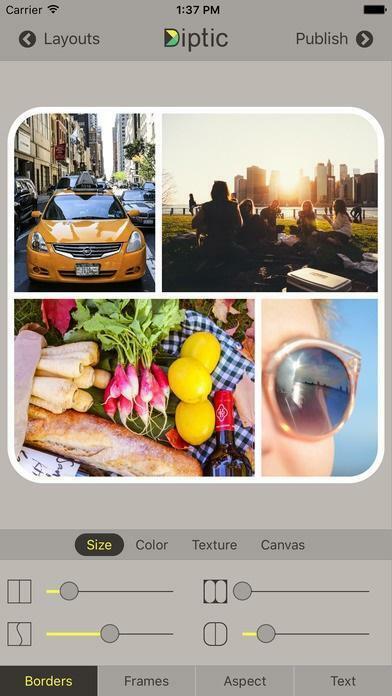 Free your snaps and get personalized postcards, create calendars and DIY your décor. 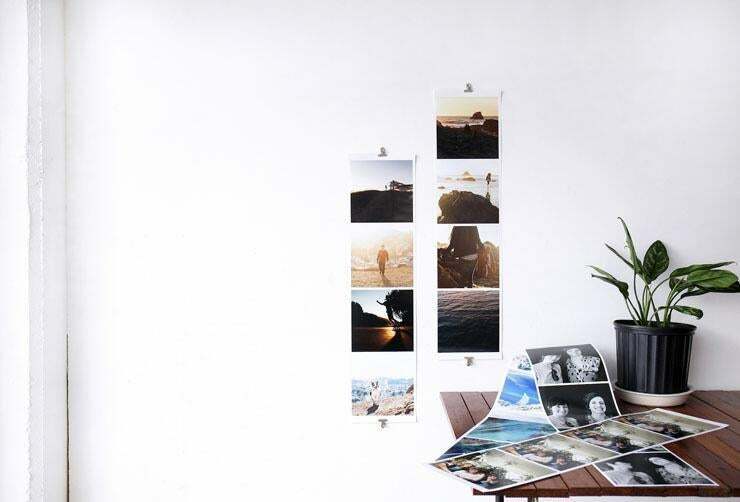 Social Print Studio has dozens of ways to display your Instagram moments at all times. Upload your images and in a few short steps you can have them adorn all sorts of items. Instagram is a natural app for the Apple Watch. You can browse, fave and comment on photos, just from a smaller screen. The video above walks you through how to add apps like Instagram to your Apple timepiece.